It took a while, but it's finally here -- yay! 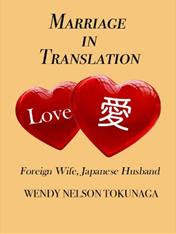 My e-book, Marriage in Translation: Foreign Wife, Japanese Husband is now available on Kindle! 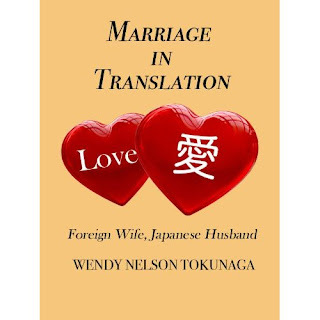 This book showcases interviews with 14 Western women who speak candidly about the challenges in making cross-cultural marriages work, both inside and outside Japan, and the joys and frustrations of adapting to a different culture. For the month of April, 50 percent of the proceeds will go to Japan Relief. I want to give a special shoutout to my Japanese husband, Manabu Tokunaga, for all his technical help with this book (and the cover design!) as well as the great job he does of being my muse. :-) Arigato-sama! Hello! Saw your post at the SF Japantown Facebook page. I just bought your e-book and I can't wait to start reading it!